When Genta Kondo asked clinicians about their experience working with hand and arm amputees, he was shocked to hear that only half of their patients used prosthetics – and more than 90% of those in use are purely cosmetic. 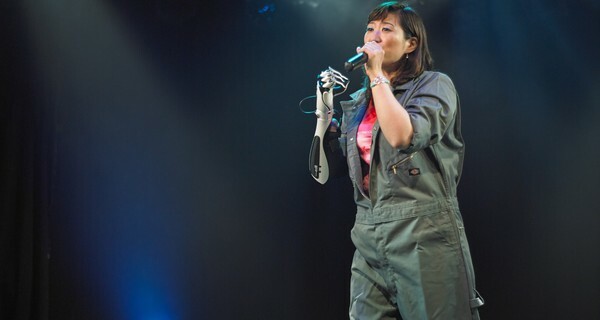 Kondo found out that the high cost of prosthetics was the primary factor against adoption, with high-tech versions costing in excess of JPY 1.5 million (£8,000). Exiii was born out of robotics specialist Kondo’s realisation that modern technology was severely under-used in manufacturing these handy tools. Those amputees who don’t use prosthetics were being unnecessarily hindered, and Kondo planned to address this by taking advantage of advances in 3D printing technology. When muscles tense, electrical signals are produced. Exiii is currently developing five generations of prosthetics that respond to these signals – each incredibly well designed and one, HACKberry, which has been made available under an open source licence. Kondo estimates that HACKberry will require $300 (£200) worth of parts, and it can be assembled at home and uses a 3D printer currently priced at under $1,000 (£650). Exiii also produces prosthetics in-house, with brands such as handiii and handiii COYOTE. COYOTE uses a one-size-fits-all approach, with adjustable straps and a universal socket. The robotic arm can hold and move objects in the range of 500 grammes’ weight, open the cap of a bottle of water, and has been designed to survive a variety of tough environments. Kondo’s prosthetic prototypes came second among 650 James Dyson award contestants, and Exiii is currently working with a number of labs and non-profits to finalise the handiii line of products. HACKberry – the open source prosthetic initiative – will soon be available at http://exiii-hackberry.com and the project’s GitHub page. Exiii’s looking for people to make full use of the range of prosthetics; head over to their website to find out more.